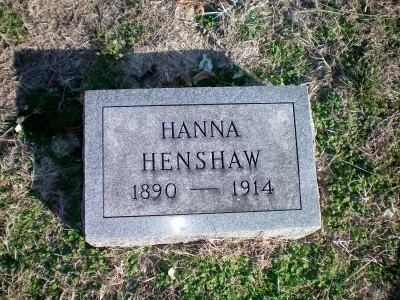 Hannah N. Hinshaw1,2 [Hanna Henshaw3, Annie Henshaw4]. Born Sep - 18892 [18901,3,4], Tennessee2. Collin County, Texas, Marriage Index, 1800-2010; http://www.ancestry.com.